An analysis of SDSC data from SMA patients revealed that in addition to the roughly 16% identified through the SDSC as having disordered sleep, an additional 16.7% demonstrate abnormalities in at least one category of sleep.10 Breathing disorders experienced during sleep, as well as difficulty falling asleep and staying asleep were the most commonly found sleep issues in those with SMA. Excessive sleepiness and night sweats were other frequently experienced factors disturbing sleep. Some data suggest that night sweats in SMA occur most frequently amongst younger patients with SMA type 2. While some of the sleep disturbances associated with SMA may be directly impacted by SMA pathogenesis, some researchers have also suggested that difficulty in moving out of uncomfortable positions could account for some of the sleep disturbances that SMA patients suffer and could also offer potential for interventions to improve sleep.10 Data have shown that those who can roll halfway over score better in sleep disturbance tests than those unable to roll halfway over. Those wearing night splints for orthopedic purposes have also been shown to score normally on the SDSC, suggesting that orthotic devices do not themselves disturb sleep. 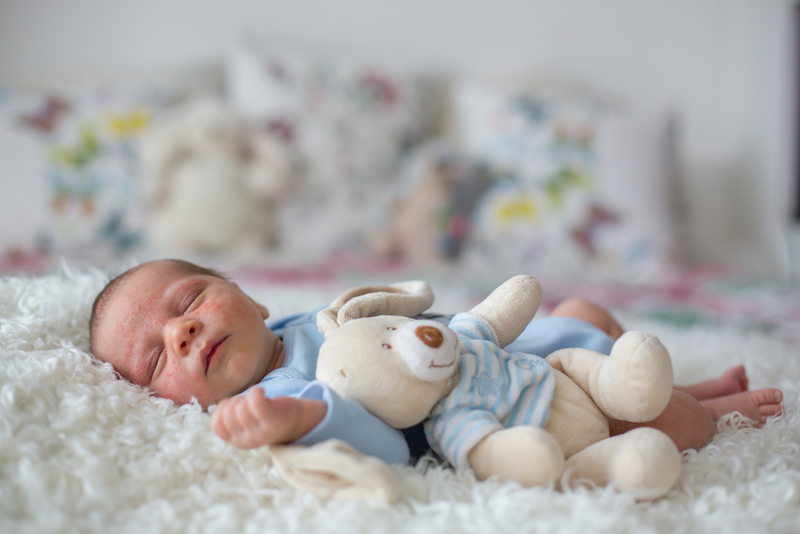 As research on sleep disturbances occurring in SMA evolves, there will likely be growing opportunities to improve the quality of sleep in SMA patients. To improve sleep in all SMA patients, it will be important to continue to elucidate the different types of sleep disturbances that these patients experience and the underlying causes for these disturbances. As a one-size-fits-all approach is unlikely to improve sleep for all of those who with SMA who suffer sleep disturbances, clarifying the distinct ways in which sleep becomes disordered in this patient population will help ensure that each patient receives sleep interventions that are optimized for their specific circumstances. 1. Manni R, Cerveri I, Ottolini A, et al. Sleep related breathing patterns in patients with spinal muscular atrophy. Ital J Neurol Sci. 1993;14(7):565-569. 4. Testa MBC, Pavone M, Bertini E, Petrone A, Pagani M, Cutrera R. Sleep-disordered breathing in spinal muscular atrophy types 1 and 2. Am J Phys Med Rehabil. 2005;84(9):666-670. 9. Pradella M. Sleep polygraphic parameters in neuromuscular diseases. Arq Neuropsiquiatr. 1994;52(4):476-483. 11. Bruni O, Ottaviano S, Guidetti V, et al. The Sleep Disturbance Scale for Children (SDSC). Construction and validation of an instrument to evaluate sleep disturbances in childhood and adolescence. J Sleep Res. 1996;5(4):251-261.